Simon is joined by Dan Snow to talk about Operation Grand Canyon - the attempt to recreate Major John Wesley Powell's 1869 journey into the unknown, navigating the Colorado River. 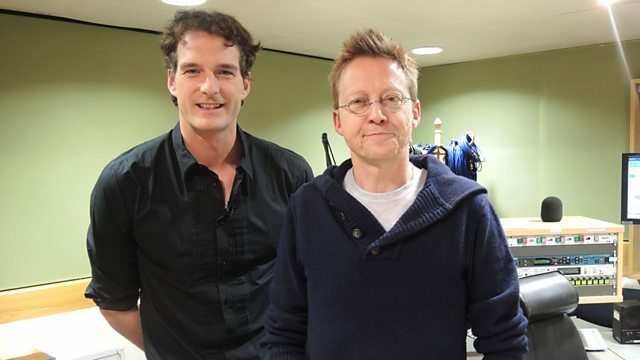 Simon is joined by Dan Snow to talk about Operation Grand Canyon. Dan - who among his many talents, is also an expert-rower - leads a crew of eight history and geology experts in an attempt to re-create one of the great epic adventures in history - when in 1869, an intrepid Civil War veteran Major John Wesley Powell and crew set off to for Arizona to achieve what many said was impossible, to navigate the Colorado River and journey into the unknown mysteries of the Grand Canyon. Dan and his team take on Grand Canyon in all its gritty reality, with original kit, food, and even replicas of the boats used by those 19th century pioneers. Plus Matt has the sport, Rebecca's on the money, and Sally has all the latest travel updates. There's also a new confession for the collective to mull over. The No.1 Acoustic Rock Album (Variou. America's Greatest Hits - History. Million Sellers Vol.18 - The Seventie. Billy Joel - Greatest Hits Vol.2.